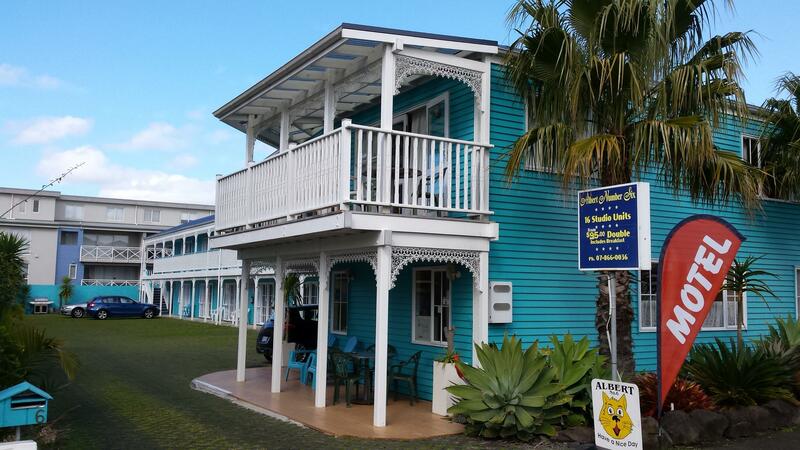 Attractive, comfortable motel with great hospitality, situated on the main street of Whitianga and within a minute's walk of the beautiful Buffalo Beach. A light breakfast is included in the tariff (cereal & toast). Whitianga is surrounded by amazing beaches and is within 45min drive of Hot Water Beach and Cathedral Cove. Come and enjoy some of the activities that Whitianga offers. There is something for everyone, including fishing, kayaking, diving or boat cruises; plenty of walking tracks, plus bone carving, horse riding, browsing the local museum or relaxing at the beach. We have free spades for Hot Water Beach.. Attractive, comfortable motel with great hospitality, situated on the main street of Whitianga and within a minute's walk of the beautiful Buffalo Beach. . . . More . . .